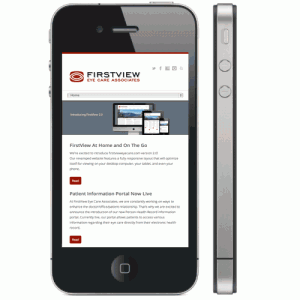 We’re excited to introduce FirstView 2.0! Our revamped website features a fully responsive layout that will optimize itself for viewing on your desktop computer, your tablet, and even your phone. We’ve also tied all our social media presences together at the top of each page for easy navigation. We’d love to connect with you on Facebook, Twitter, or Quora. Don’t forget to check-in on foursquare at your next visit. And after you leave, stop by our Yelp page and post a review. Again, all of these sites can be accessed by clicking the icons in the upper right part of each page on our website. Our final change was moving our blog from its external site to its new home at FirstView 2.0. If you haven’t had the chance to look through some of our articles, there’s no time like the present. Each article is open for questions and/or comments and we’d love to hear your thoughts. If you have a topic for a future blog post, let us know. The more interaction the better! We hope you enjoy these enhancements. All the convenient tools from the old website like online appointment scheduling, contact forms, and an interactive map are still here and easily accessible through the menu at the top of the screen.